It’s an exciting year for the Philadelphia Youth Orchestra organization as we celebrate our 75th Anniversary all season long...that's 75 Years Young to you! There has been such growth over our 75 years and there is much more to come. We have much to boast about this 2014-2015 season. Please read the below highlights for each ensemble. Philadelphia Youth Orchestra, the organization’s flagship ensemble, under the direction of Maestro Louis Scaglione, celebrates its 75th Anniversary with four performances in Verizon Hall at The Kimmel Center featuring classical repertoire hallmarks such as Saint-Saëns’ “Organ Symphony,” Tchaikovsky’s Fifth Symphony, and Mahler’s Fifth Symphony. Guest artists of national and international acclaim include Michael Stairs (organ) and Gloria dePasquale (cello) of The Philadelphia Orchestra; Michael Ludwig (violin), former member of The Philadelphia Orchestra; PYO Alumna Francesca dePasquale (violin), of The Juilliard School; and several current members of The Philadelphia Orchestra, who are also PYO Alumni: Peter Smith (oboe), Mark Gigliotti (bassoon), and Richard Amoroso (violin). Many special events are planned this season including a side-by-side rehearsal with The Philadelphia Orchestra, under the baton of Maestro Yannick Nézet-Séguin, a world premiere composition by PYO alumnus Sheridan Seyfried, WRTI-FM concert broadcasts, and a performance with The Indigo Girls as part of The Kimmel Center Presents concert series. Philadelphia Young Artists Orchestra (PYAO), under the leadership of Rosalind Erwin opens its 20th season with a holiday concert at the Upper Darby Performing Arts Center. Season repertoire highlights include Rossini’s Overture to William Tell, Beethoven’s First Symphony, Tchaikovsky’s Second Symphony, and Rimsky-Korsakov’s Capriccio espagnol. The PYAO season culminates with its 20th Annual Festival Concert held in Perelman Theater of The Kimmel Center, where the winner of the inaugural PYAO Young Artists Solo Competition will be featured as soloist. Under the direction of Paul Bryan, Bravo Brass, Philadelphia Youth Orchestra’s all-brass ensemble - and one of only a few of its kind in the country - will present a series of concerts hosted at the historic St. Mark’s Church in Philadelphia in addition to collaborative performances with the Strath Haven High School Choir and The Curtis Institute of Music Brass and Percussion Ensemble. In addition to performing many great works for brass ensemble, concerts will also feature the many compositions commissioned and/or premiered by Bravo Brass. At the conclusion of the season, the ensemble will travel to Washington D.C. to participate in an exchange program with Brass of Peace. Philadelphia Region Youth String Music (PRYSM) and PRYSM Young Artists, will return to Centennial Hall of The Haverford School for two concerts this year. Now in its 8th season and under the leadership of Gloria dePasquale, PRYSM and PRYSM Young Artists offers premium instruction to beginning and intermediate string students. Through small sectionals and large ensemble rehearsals students gain the necessary musical foundation and technical skills required to advance through the various ensembles of the PYO organization. This season, the ensemble will perform selections from the core string orchestra repertoire including Tchaikovsky’s Serenade for Strings, Bartok’s Roumanian Folk Dances, and Nielsen’s Kleine Suite. 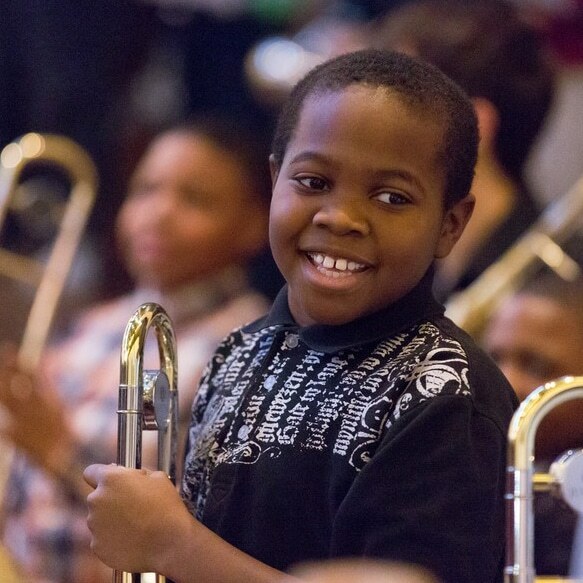 At the launch of its 5th season, Tune Up Philly, under the direction of Paul Smith, will work with seven diverse partners from Allegheny West to South Philadelphia to provide the benefits of El Sistema inspired programming to over 200 of Philadelphia's youth. We celebrate providing the skills our students need to enter competitive arts programming at G.A.M.P., String Theory High School, Musicopia String Orchestra, Settlement Music School, and our annual participation in the Philadelphia Festival of Young Musicians. It is our mission to ensure that Philadelphia's great orchestral tradition remains accessible to our city's youth and their peers. For all complete listing of the entire Philadelphia Youth Orchestra organization concert schedule, please visit the PYO website.